Native grasses formed the foundation of the expanses of prairies, savannas and meadows that once covered the greater midwest. 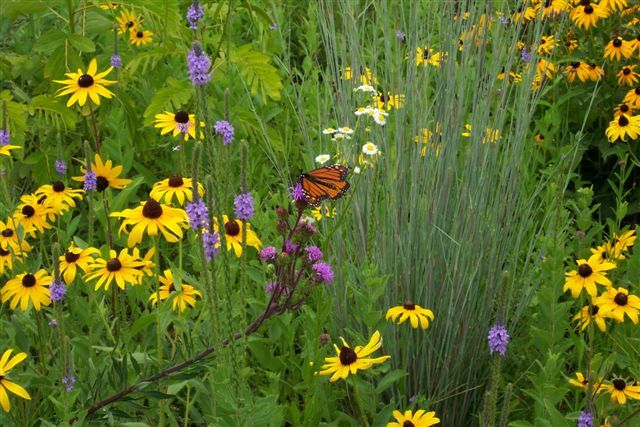 They are a natural component, or the basis, of any designed native landscape — offering the perfect complement to native wildflowers in both naturalized and formal settings. 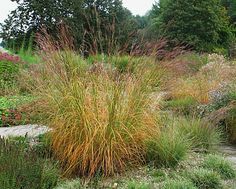 Grasses can be incorporated individually as ornamental or structural elements. They can also be grouped or massed, or they can serve as a matrix in a designed plant community. 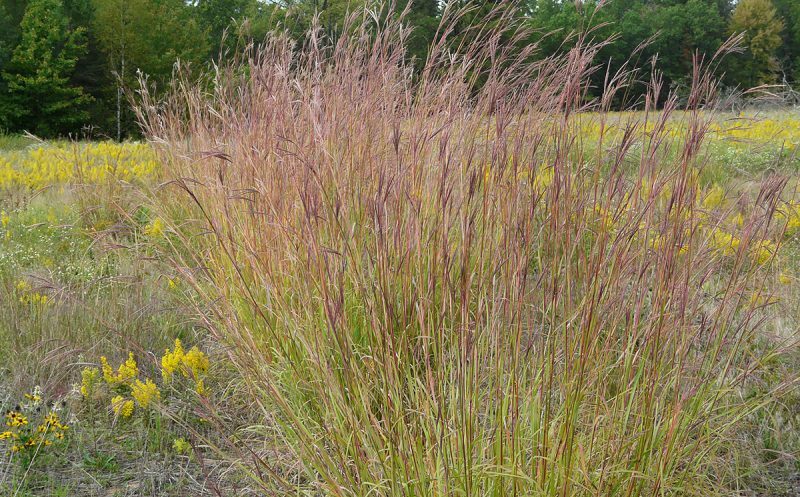 Native grasses add striking fall color and visual interest well into winter; they provide food, nesting materials and habitat cover for birds; and they serve as host plants for numerous butterfly and moth species, as well. Cool season, warm season. Grasses that mature early in the growing season and grow while the soil is still cool are referred to as “cool season” grasses. Virginia Wild Rye, June Grass and Tufted Hairgrass are cool season grasses. Sedges are also cool season growers. 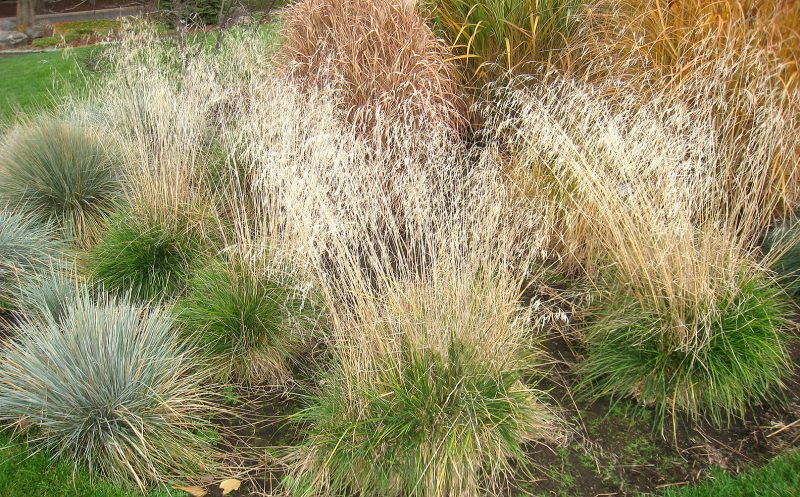 Indian Grass, Little Bluestem, Big Bluestem, Purple Lovegrass and Prairie Dropseed are all warm season grasses. Prairie Dropseed really shows off in the fall. Shown here with asters and goldenrod. Early in summer, Prairie Dropseed forms mounds of fine green leaves. Naturally elegant, Prairie Dropseed bears wispy, fragrant flower spikes over narrow, deep green leaves in late summer. It is graceful in all seasons of the year, making it a perfect matrix plant. Hues of golden orange develop in autumn. This one grows best in dry or a medium soil that is well-drained. Plant it along border edges and paths for a soft, airy feel. Space each grass about 18 to 24 inches apart to highlight the seed heads. What it needs: Well drained soil. Full Sun. Size: 2 feet tall and wide. What we Love: It has a soft perfectly round, mounding shape in summer. And fantastic color and texture in fall. The broad leaves of Northern Sea Oats, early in the season. The dangling, bouncy seedheads of Northern Sea Oats mature in fall. 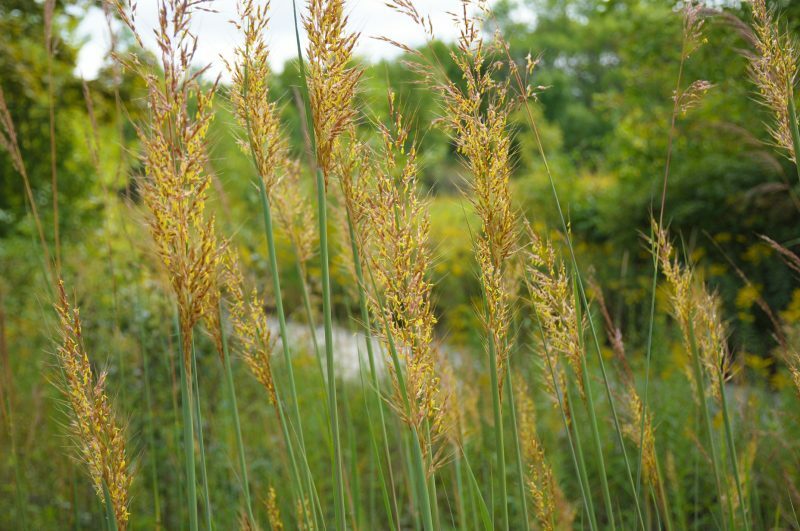 Beloved for its interesting seed heads, this is one of the most ornamental native grasses. Very adaptable, it thrives in sun or shade, while the bobbing flat seedheads add interest, giving the plant its nickname: “fish on a line.” (They do look like little fish!) Lime green in the summer, the seedheads mature to a golden bronze. In the wild, this grass is found in the moist soil of wooded areas and along streams. It grows well in full sun, too, but may need supplemental water in periods of drought. Very attractive in the winter with a dusting of snow. 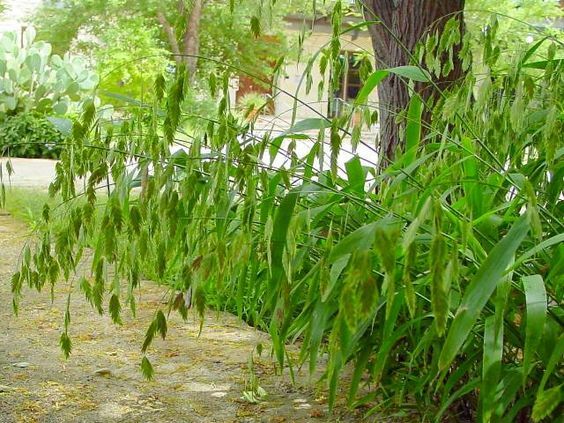 Cut off the seed heads in fall, however, if you want to prevent it from popping up everywhere. Size: 2 to 3 feet tall and 18 inches wide. What we Love: Unique seedheads. It is on the smaller side and a good choice for shade. Tufted Hairgrass, shown here with a mix of other grasses. 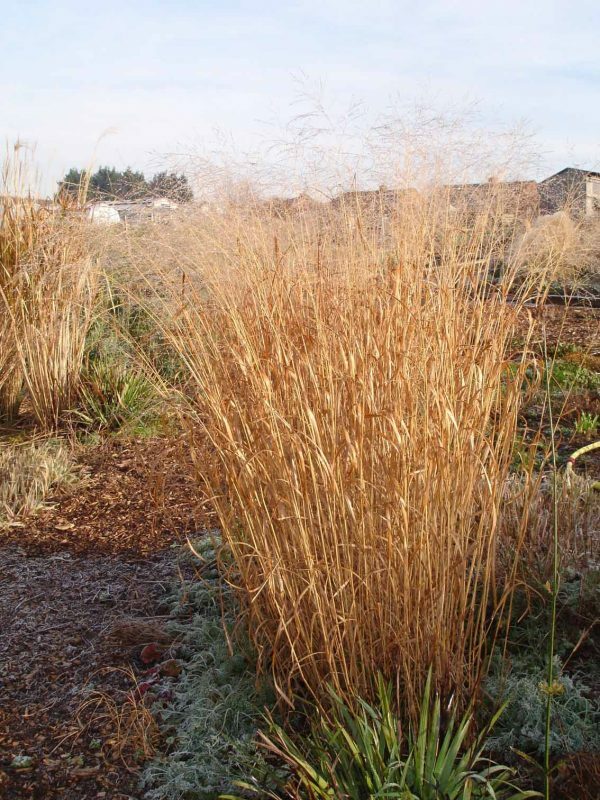 Hairgrass has an attractive mounding habit and is famous for its airy plumes in shades of gold and silver – getting its name from the fine, hairlike flowers. They emerge green and then turn gold, forming glowing clouds above the base. A native to damp woods, bogs, and streamsides, tufted hairgrass prefers a cool spot in partial shade. Size: 1 – 3 feet. The base of this bunchgrass is around one foot. The seed stalks reach up to three feet. 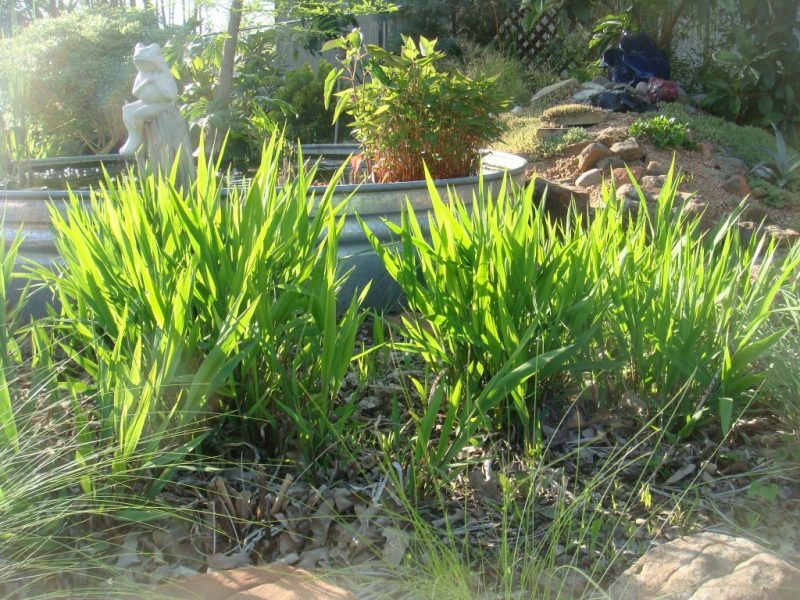 What we Love: It’s a good grass for partial shade. Fluffy fronds. Little Bluestem is always complimentary in a mix of natives. Little Blue turns red, by late fall. 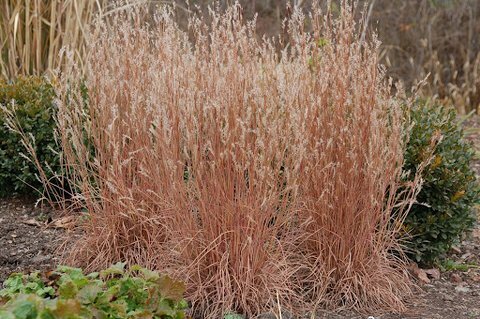 Little bluestem has blue-gray-green leaf blades that turn redish-bronze in autumn. 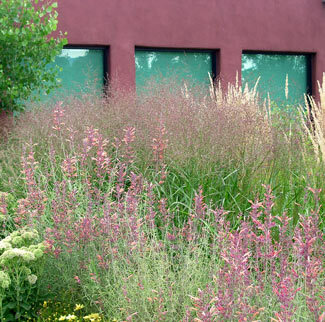 This tough prairie grass is adaptable and tolerant to harsh conditions and poor soils. The extensive root system makes it impervious to drought, so hold the water and give it plenty of sunlight (at least six hours). This warm season grass can be incorporated easily into mixed borders, meadows, and wild gardens. Little Blue is happy in most soils but it needs full sun and good drainage. For its size, It stands up to winter amazingly well. What we Love: Blue color in summer and strong red in fall. Not too tall and not too short. Switchgrass bears a hazy plume in late summer and fall. This is one gorgeous grass. The leaves can be multi colored in late summer, and the panicled seedheads present an airy picture. In fall, the foliage often takes on dramatic red, yellow and gold tones, then it turns light tan for winter. What it Needs: Full sun or part shade, happy in just about any, average soil. What we Love: Great fall texture and color, it tolerates partial shade, as well. Tough soil? No problem! This vase-shaped tall grass produces golden-yellow plumes in the fall to enrich any garden or landscape. Each flower spike has tiny, bright yellow pollen sacs that stand out in the dark seed heads. From early spring to fall, the foliage is slightly blue-green, and mellows to a copper-tan after the first frost. Native Indian Grass is tolerant of an array of soil types, including heavy clay. What it needs: Full sun. Happy in just about any, average soil. 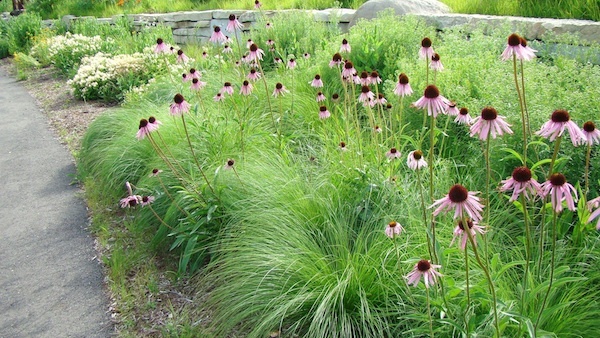 What we Love: It’s an interesting stand-alone grass because of its broad, open habit, and gorgeous flower/seed. This is a tall grass, and it forms an impressive, weeping clump with fantastic presence. Cordgrass is a spreading, rhizomatous prairie grass that thrives in moist or wet soils. It’s a good choice for stabilizing slopes or planting arounds pond and along streams. It has really cool seedheads, too. What we Love: It can quickly stabilize an area, especially areas with moist soil. Big Bluestem, tall and colorful. 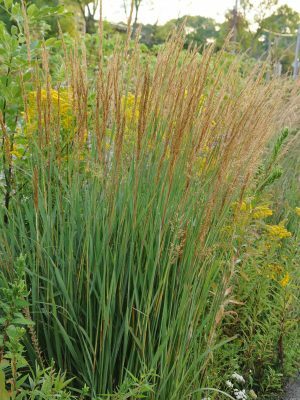 Big Bluestem is tall, attractive and adapts easily to any landscape. Spring foliage starts out blue-green, slowly turns green, and changes gradually to reddish bronze in the fall. Growing well in a range of soils – moist or dry – Big Blue can be a slow starter, but will eventually form large upright clumps. In late summer it dons the iconic ‘turkey foot’ seedheads. 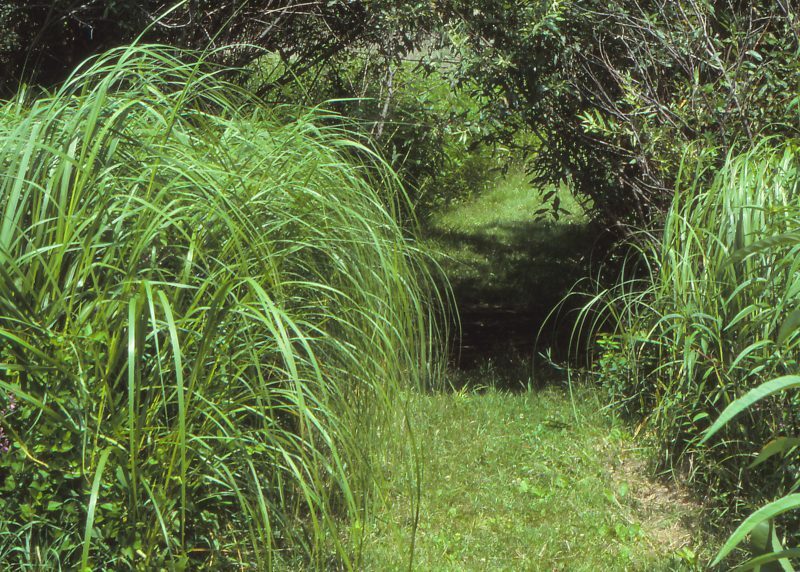 Big bluestem has an extensive root system that can reach down 10 feet or more. Plant it in an informal meadow with other natives to attract birds and butterfly larvae. What we Love: It looks great in all seasons. Tall, with stand-out fall color and a strong vase-shape. Size: 5 – 8 feet tall and 2 feet wide. Yep, it’s big.